Customers turn to Cloud Ingenuity for our comprehensive services, which span the full spectrum of their technology infrastructure. Our team helps customers determine current challenges and opportunities and sets a path to implement the right solutions needed to achieve identified business outcomes. Our greatest thrill is when collaboration with our team leads to measured success within a customers business. Whether we’ve increased ROI, secured their environment, or improved their time to market, our team finds great satisfaction in knowing that the Cloud Ingenuity has, and will continue to be, a trusted partner in our customers technology advancements. WE ARE DESIGNED TO BE AN EXTENSION OF YOUR TEAM. Cloud Ingenuity is a regional integrator of technology-based business solutions that span the enterprise, including the data center and lines of business. 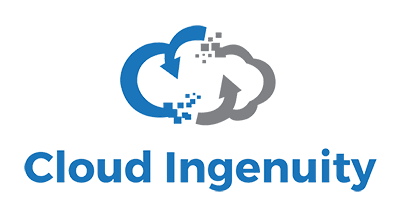 Built on products and services from the world’s top technology companies, Cloud Ingenuity solutions are installed, configured and supported by our dedicated teams of highly certified experts. With the right people and the right partners, Cloud Ingenuity is able to focus on solutions to help IT professionals cut costs, increase reliability, ease the burden of management, maximize flexibility, mitigate risk and improving service. We require our teams to be focused so they can help you get from the high-level architecture of a solution all the way down to the technical configuration and implementation of IT solutions and products.